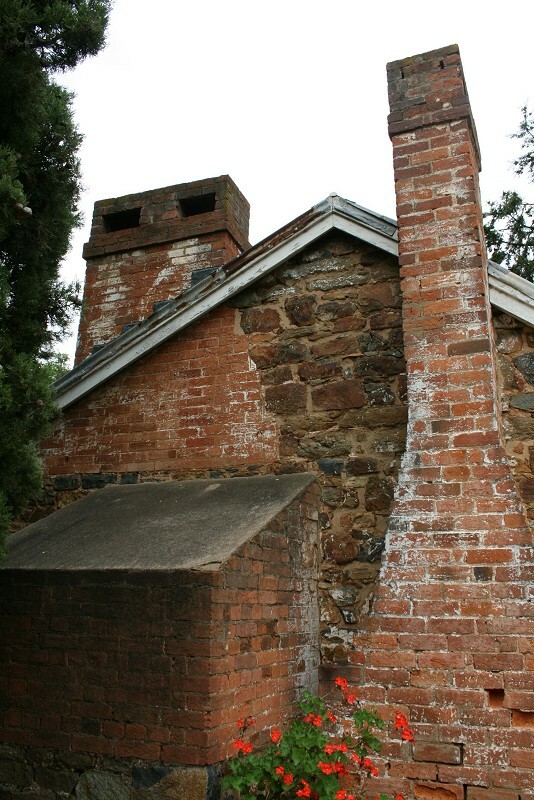 This one is Blundells Cottage from the park along edge of Lake Burley-Griffin in Canberra. One of the few buildings in the area that pre-date the creation of the Australian Capital Territory. Information from the self-guided tour brochure is in italics. 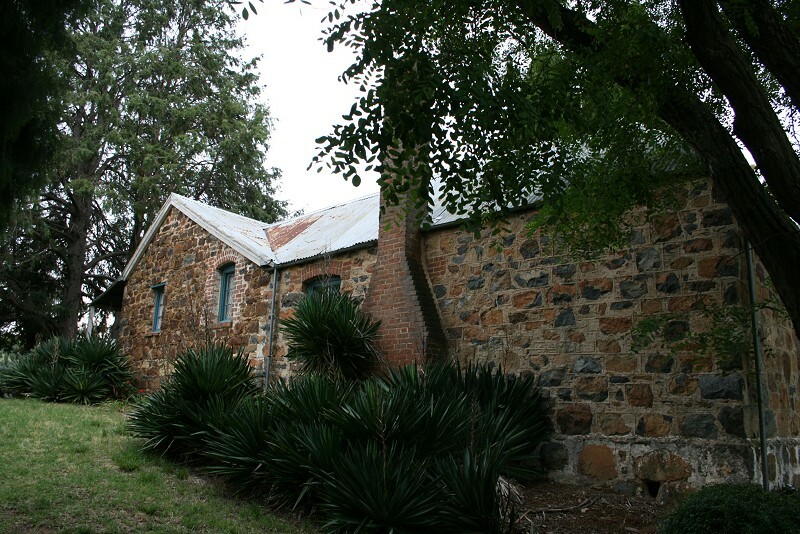 This small stone cottage was built about 1860 as a home for workers on the Duntroon Estate. 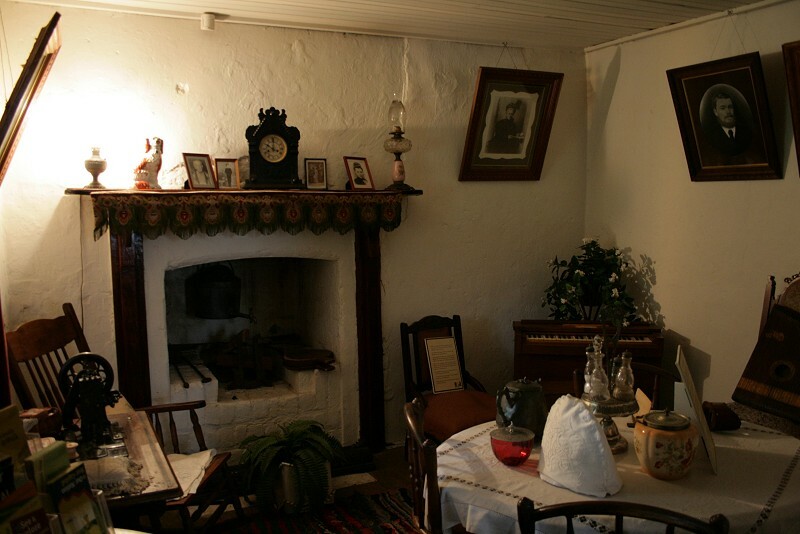 A number of familiar lived in the cottage over the hundred years it was occupied. The first two families, the Ginns and then the Blundells were employees of Robert Campbell, who owned the Duntroon Estate. The front opens onto this living room, or parlour, and there's a bedroom to the right. Then through that door there to a work room, with another bedroom off to the right. Then through the next door to a little lean-to type hall and the kitchen. 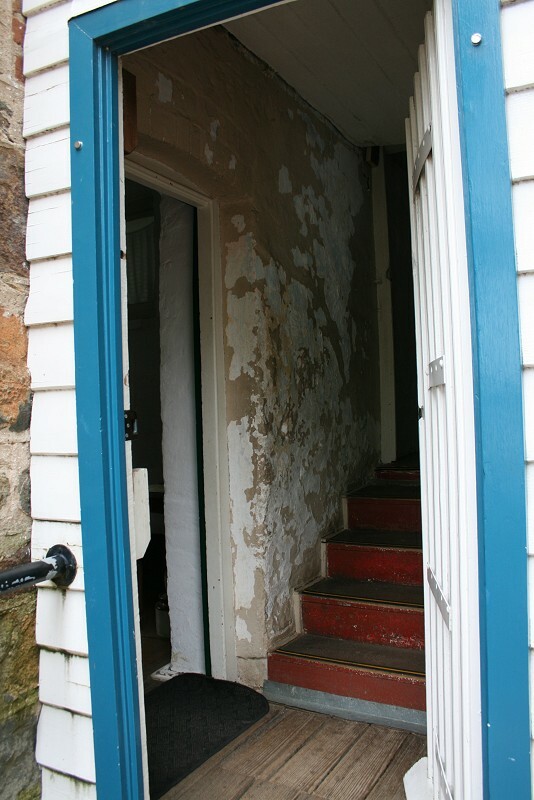 And a door to the backyard and shed at the end of the hall. Hence the bright light. Another view of the parlour. 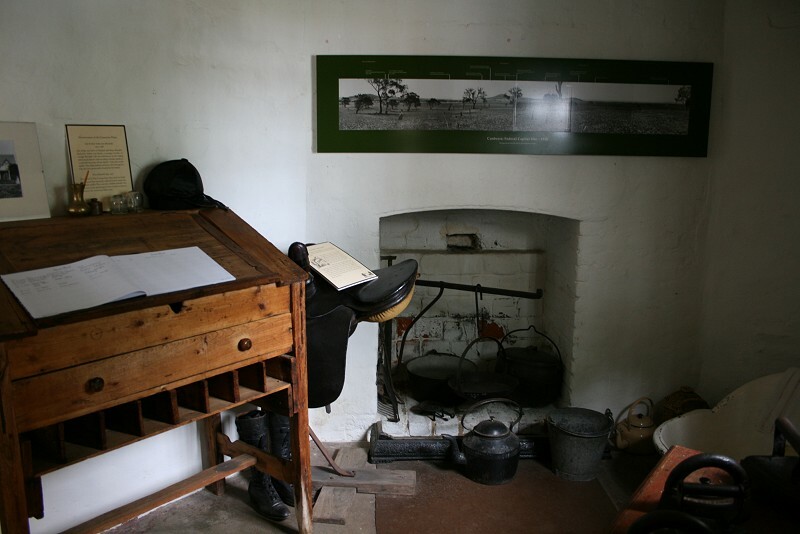 The objects in this room reflect leisure activities that were popular at the time. 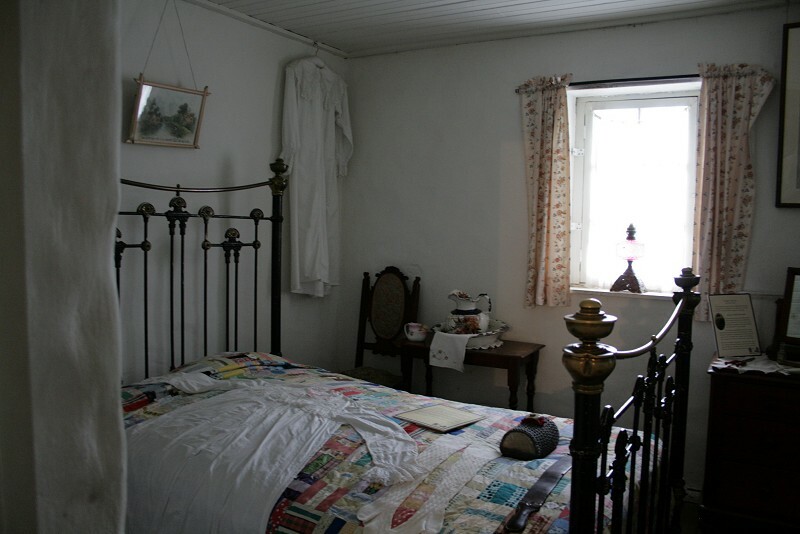 The bedroom off the parlour. Note the edge of the wall. This is the back/work room. 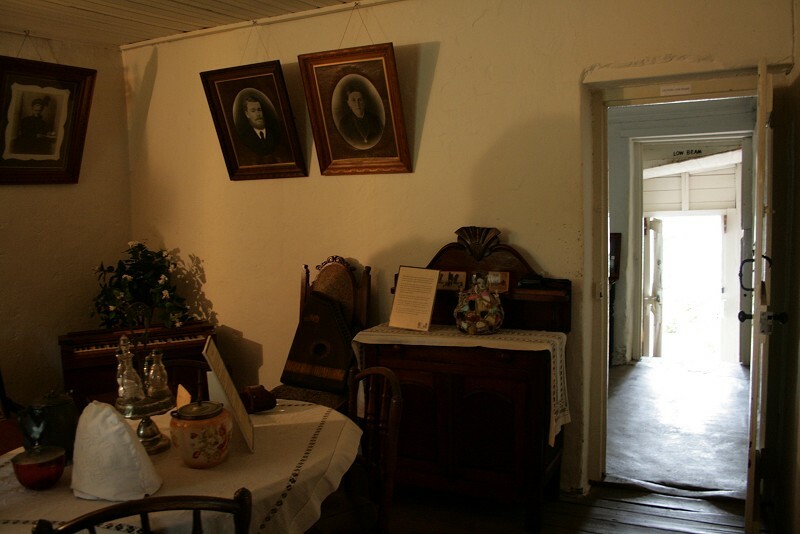 This room had various uses over the one hundred years that the cottage was occupied. It is probably that it was a winter bath area during the Blundell era [from 1874], with bath water being carried up from the river and heated over the fire. ... 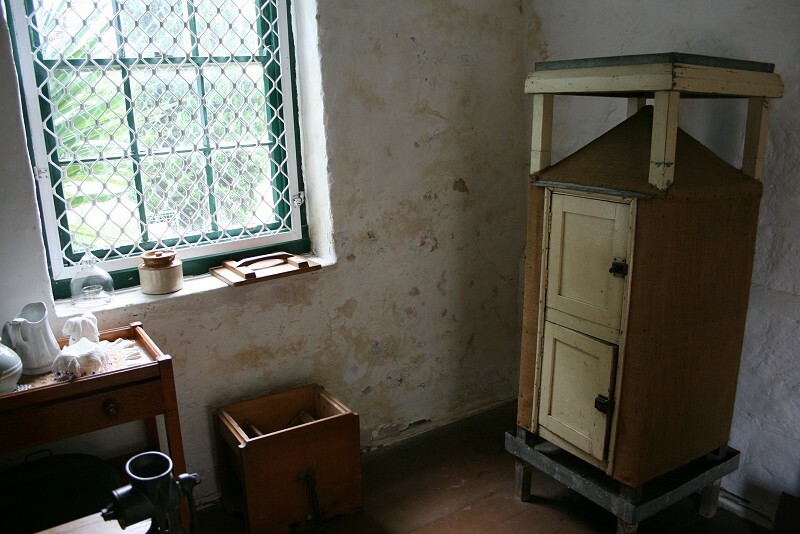 It may have also functioned as a work room for leather working, ironing, and extracting honey from the Blundell family's beehives. 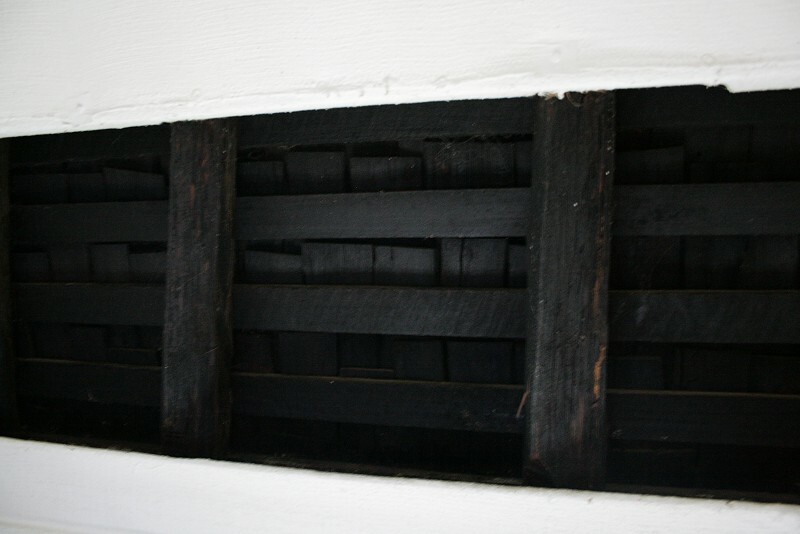 The original shingle roof can be seen through a space in the Hessian ceiling. 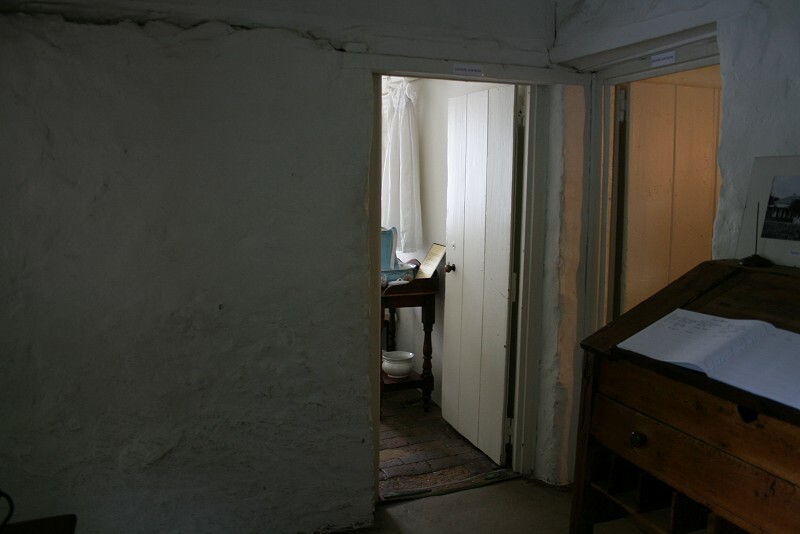 Still in the workroom, the doors lead to the parlour and second bedroom. Rough walls. 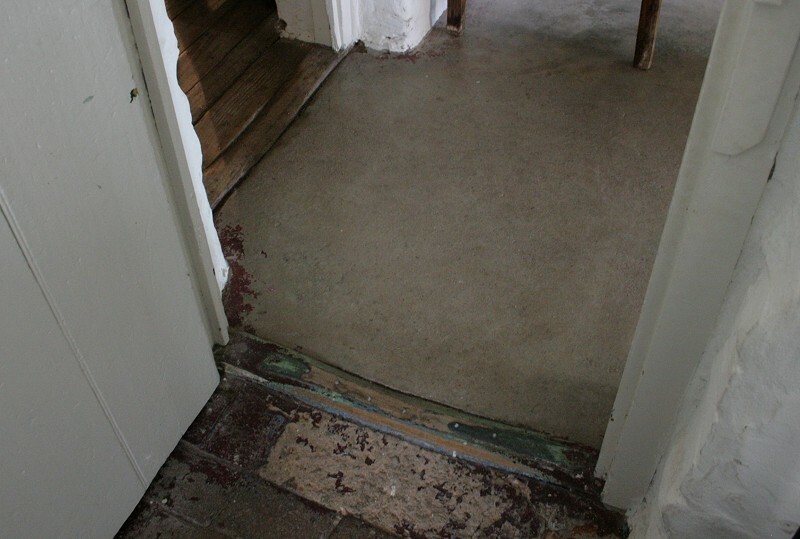 Also note the different types of flooring. The second bedroom, off the work room. 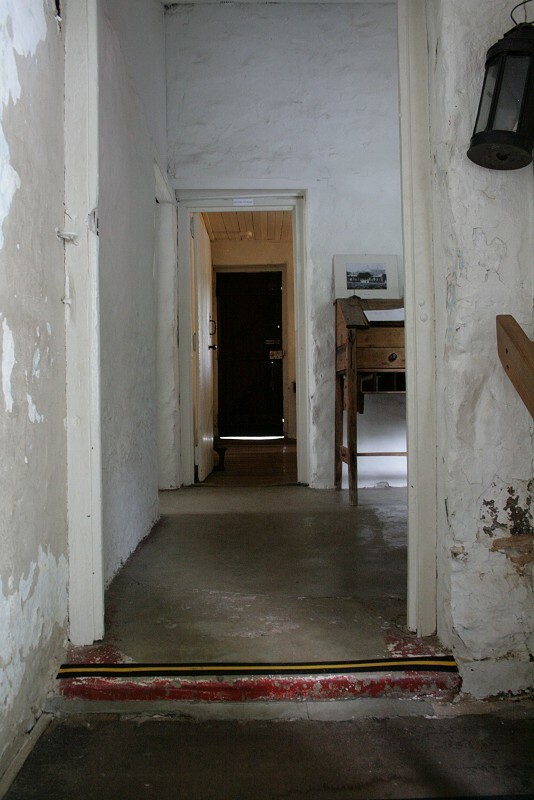 From the little hall, looking back towards the front door: work room, then parlour, with the bedrooms off to the left. Two additional rooms were added in 1888. 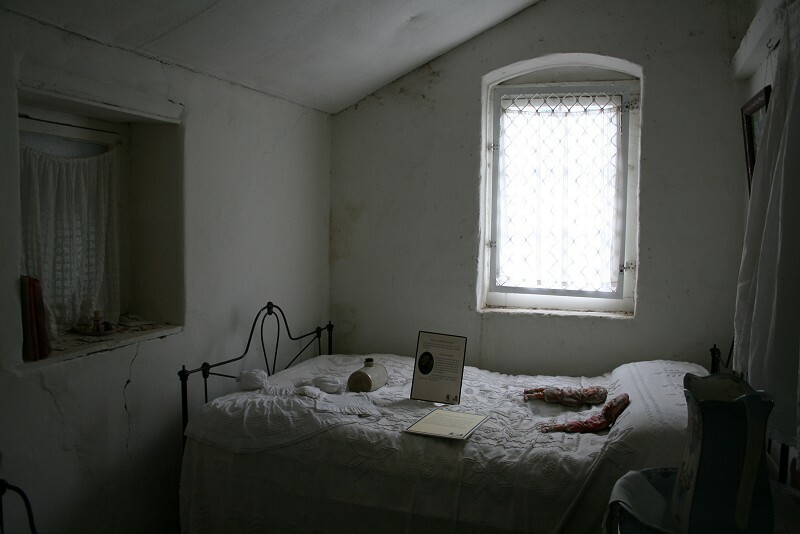 Initially, [this room] was used as a bedroom. 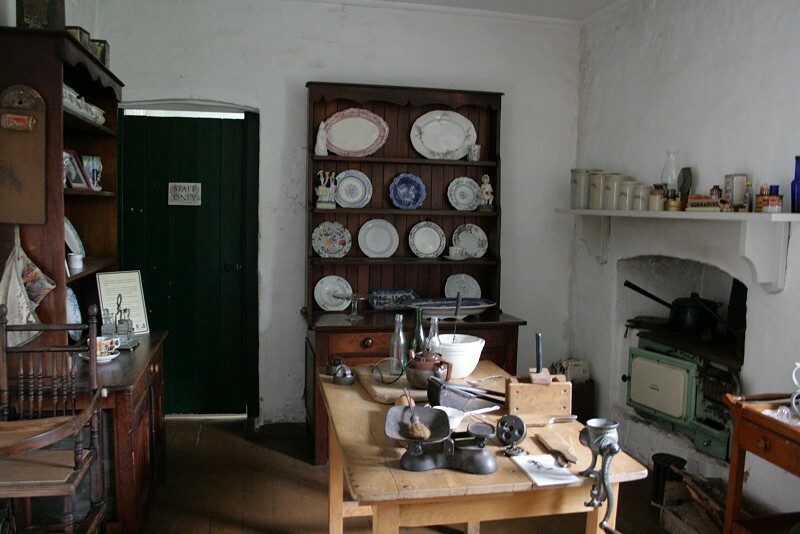 It probably became a kitchen in the 1930s when the Oldfields moved into the cottages. 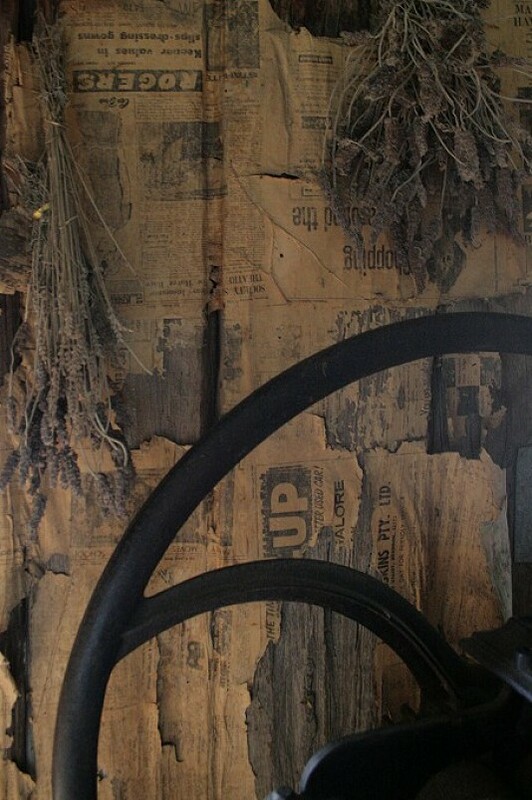 Many of the objects on display would have been in use until the 1940s and '50s. 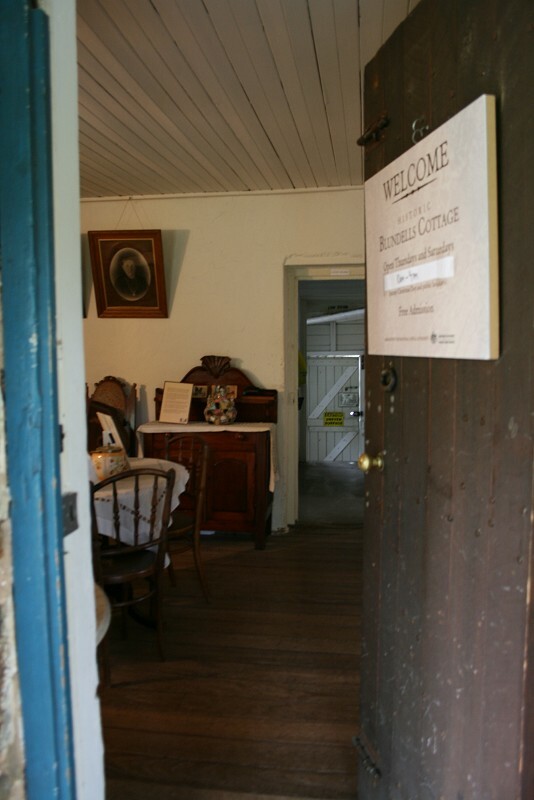 The room through that door which is now used as a office had many different uses during the Blundells' time. From outside the back door, looking back into the hall with the kitchen to the left there. 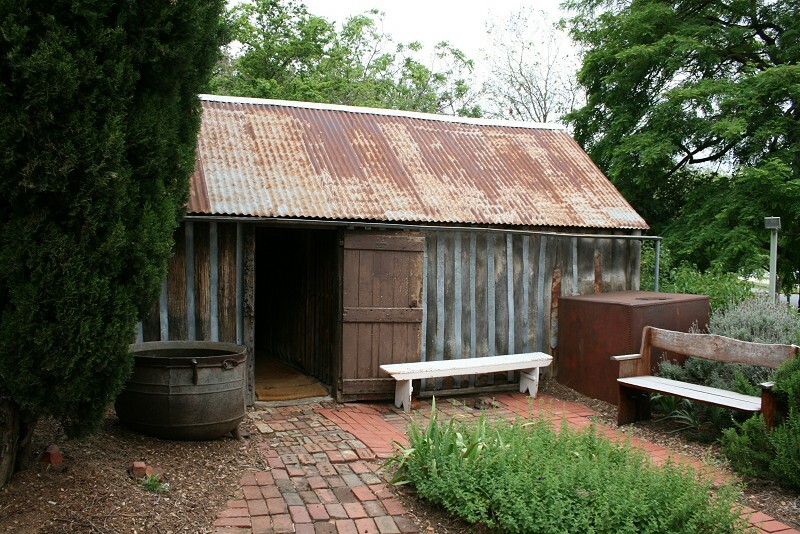 The backyard with slab shed. 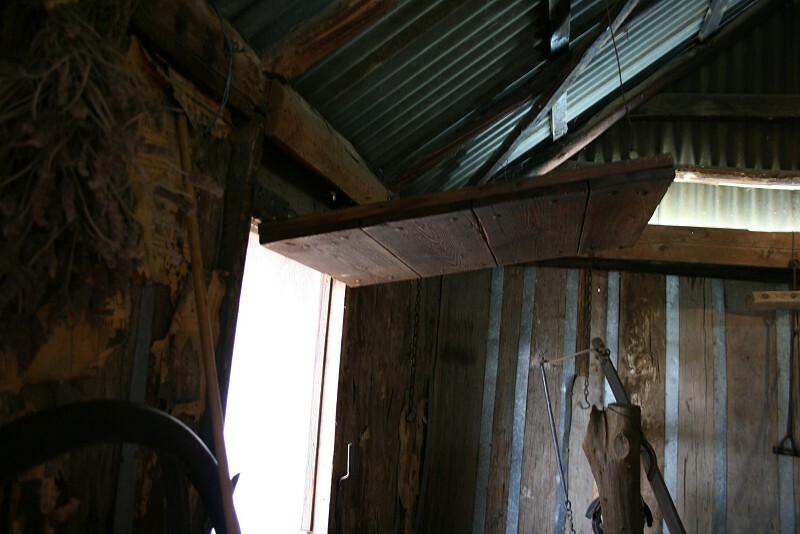 The slab building was constructed by splitting tree trunks into thick planks, or slabs. This was common building practise and only used hand too. 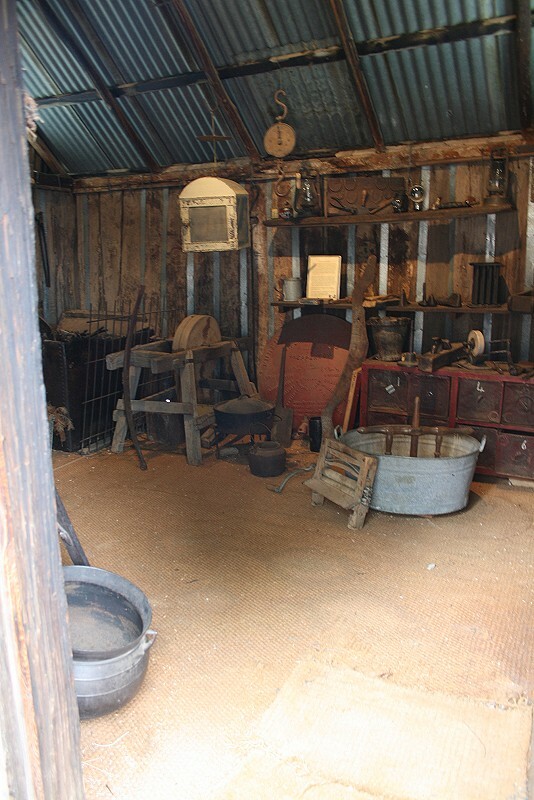 ... As the Blundell family grew, the old boys slept out here [in the shed] with their father. They probably used camp beds and kept a wood stove alight. I haven't seen an outdoor oven before. This is behind the workroom chimney. 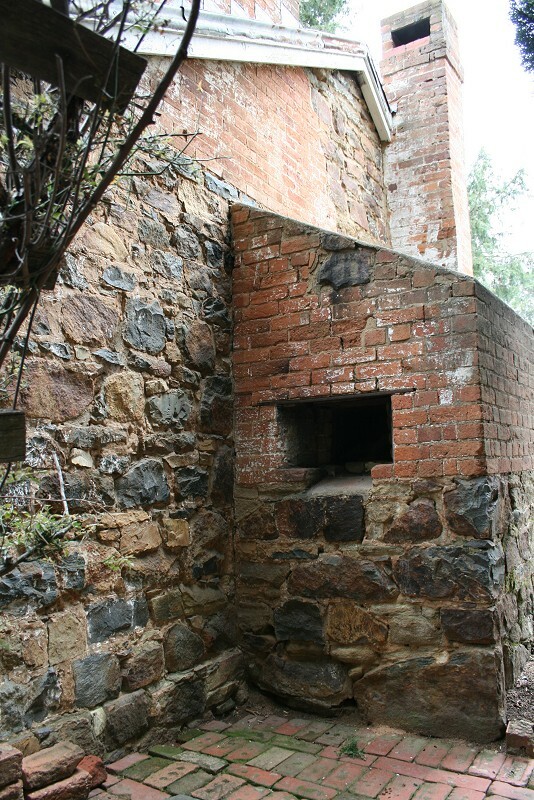 In about 1888 the Blundells had a bread oven built on to the east wall of the cottage. Chimneys for work room and parlour. This long bit at the back is the kitchen and office room.